Carrot Halwa, today we will see how to prepare delicious carrot halwa at home using Delhi carrots, milk and palm jaggery. You can either use refined sugar or jaggery to prepare halwa. 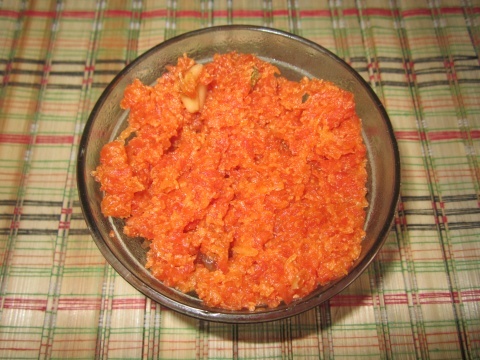 Carrot halwa is usually made in a deep heavy bottomed iron kadai. I have used a cast iron kadai to prepare the same. The most tough part is to grate the carrots. 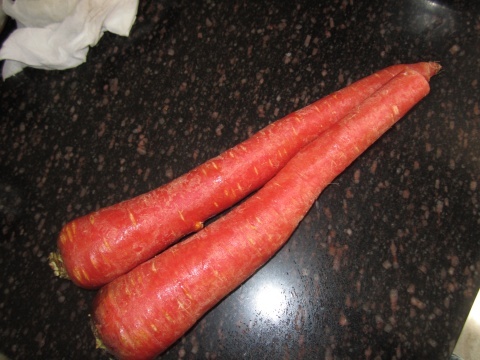 If you are preparing this without any help, then it would sure take 30 minutes to grate 500 gms carrot. But the final outcome would be so satisfying. Peel and grate the carrots. Heat a pan or kadhai. Add 3 tsp ghee and grated carrots. Saute a while and let it cook for 5 minutes. Now add milk , cardamom powder and cook on low flame for 15-20 mins till milk is absorbed and the mixture becomes thick. Keep stirring occasionally. Add 1 tbsp ghee and stir again. Add jaggery and let it cook for another 5-8 minutes. Heat 1 tbsp ghee in a kadhai and add cashews. Once they roast, add it to carrot halwa. Serve hot or cool.